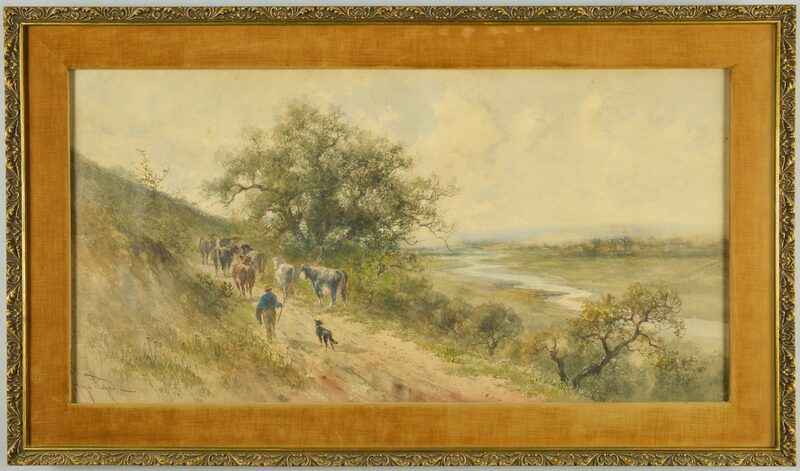 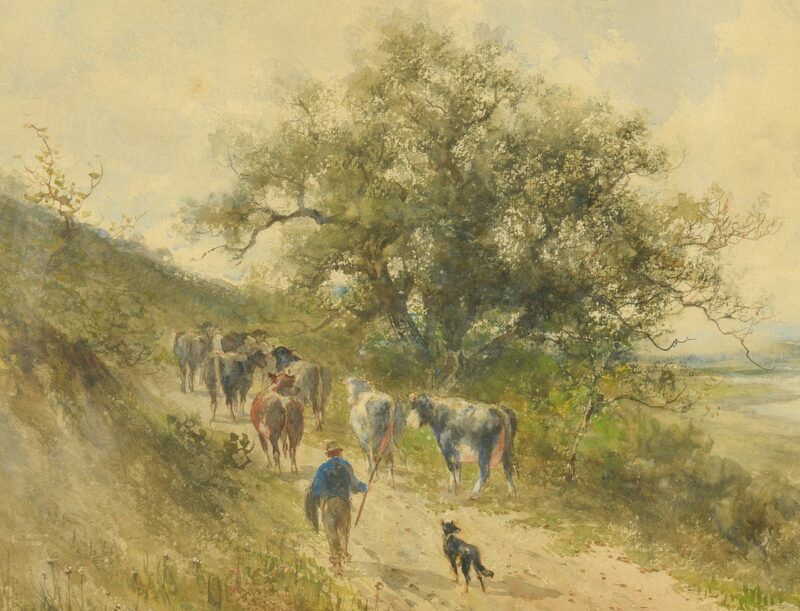 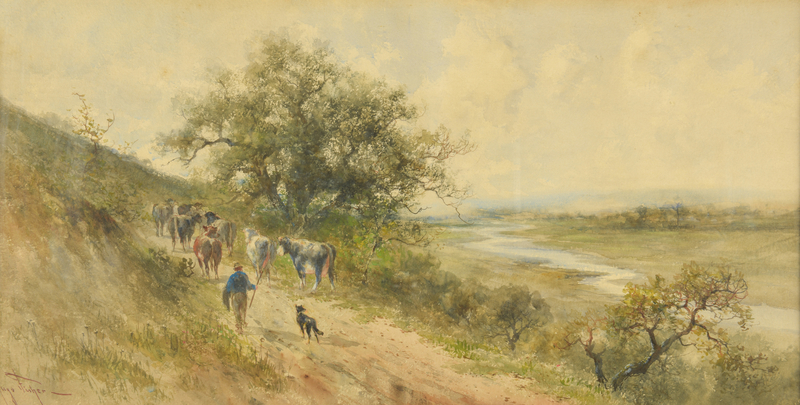 1st item: Hugh Antoine Fisher (Czech Republic/American, 1854-1916) watercolor landscape painting of a man herding cattle up a dirt road, a black dog at his side; with river and wooded landscape visible in the distance. 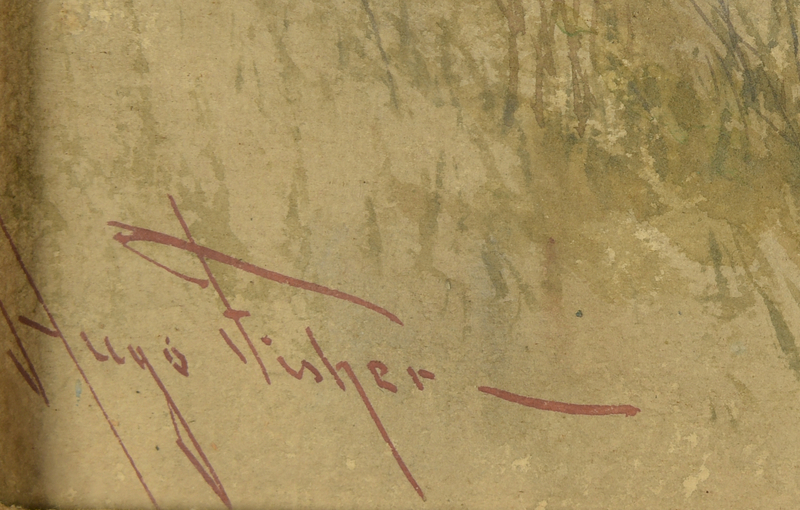 Signed Hugo Fisher lower left. Tan velvet mat and giltwood molded frame. 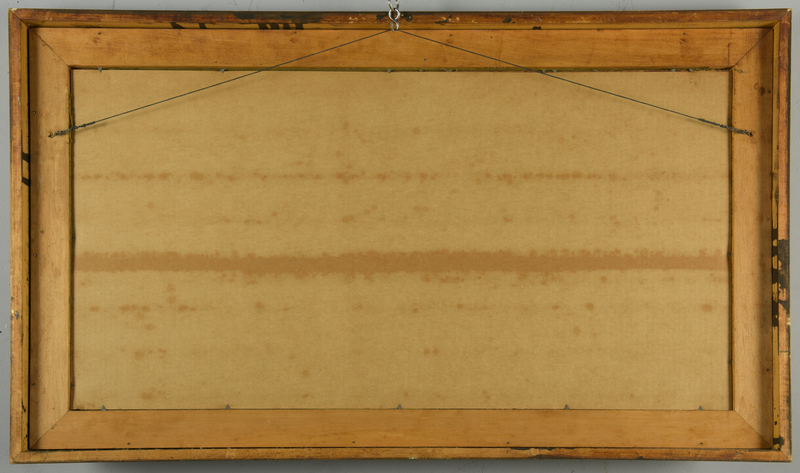 15" x 29 1/4" sight, 20" x 34 1/2" framed. 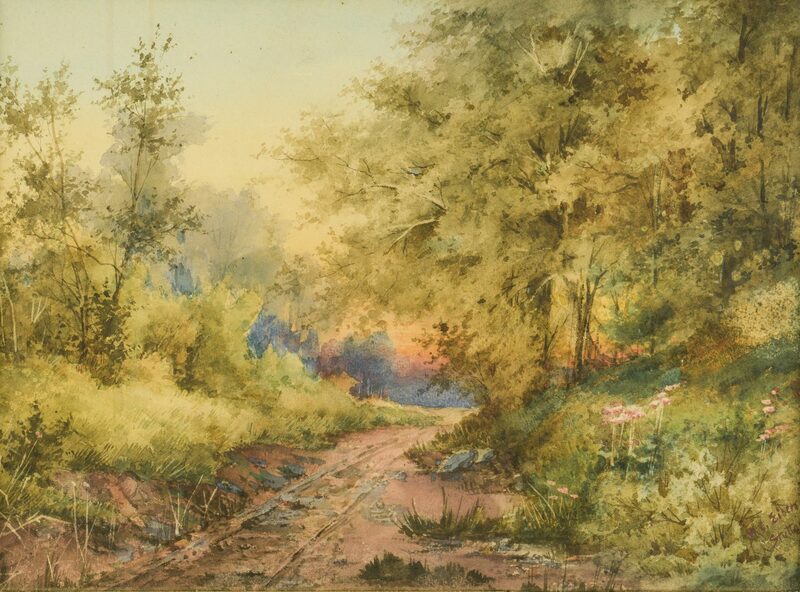 2nd item: William E. Eisen (American, 1864-1922) watercolor landscape depicting a railroad track leading through a wooded landscape at sunrise or sunset. 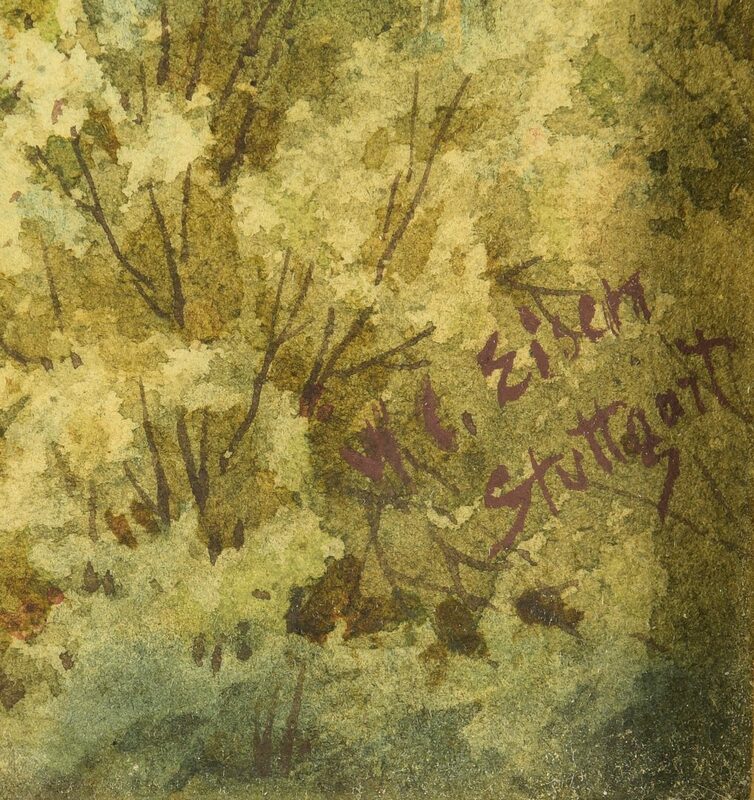 Signed lower right and titled Stuttgart. 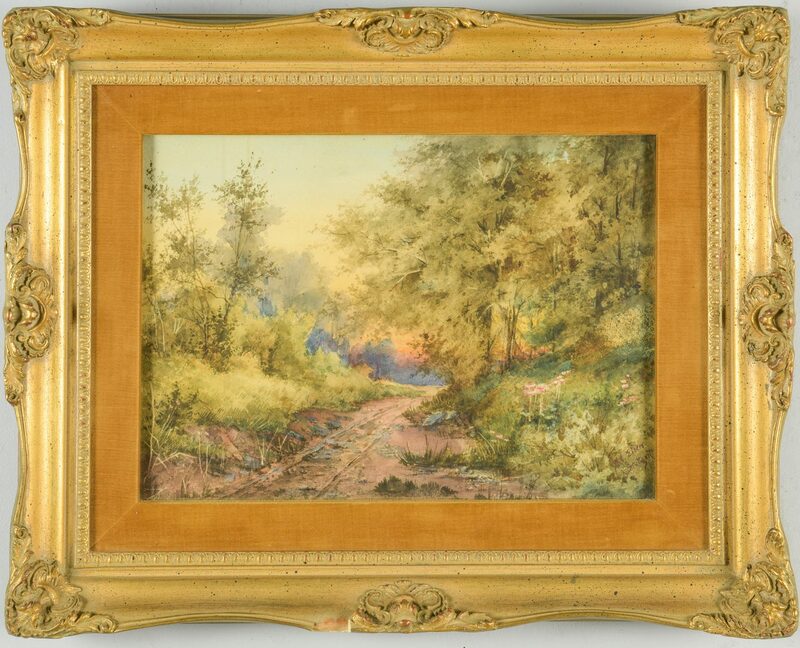 10 1/4" x 14 1/2" sight, 17" x 21 1/2" in gilt molded frame with tan velvet mat. CONDITION: 1st item: A few scattered spots of foxing upper sky area, largest 1/4" diam. 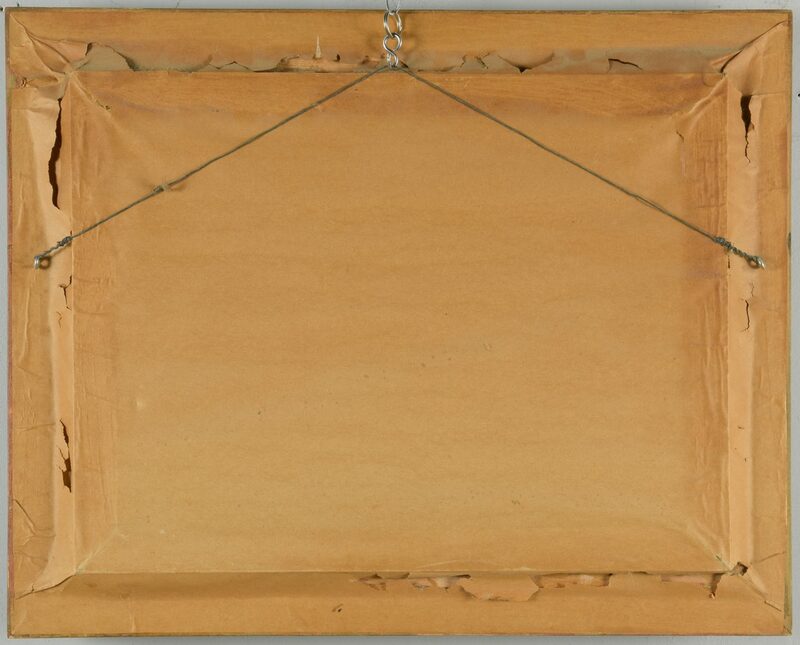 2nd item: Two narrow run stains upper left edge in sky area; 1" chunk missing from lower edge of frame.